Home improvement for sale.Having a competitive edge in today’s real-estate market is critical. Buyers are looking for clean, modern and attractive properties. If you’re preparing for a sale, you may be looking at home improvement projects to make your property more attractive. But, before you spend top dollar on a remodel, consider which projects will add the most dollar to your home. 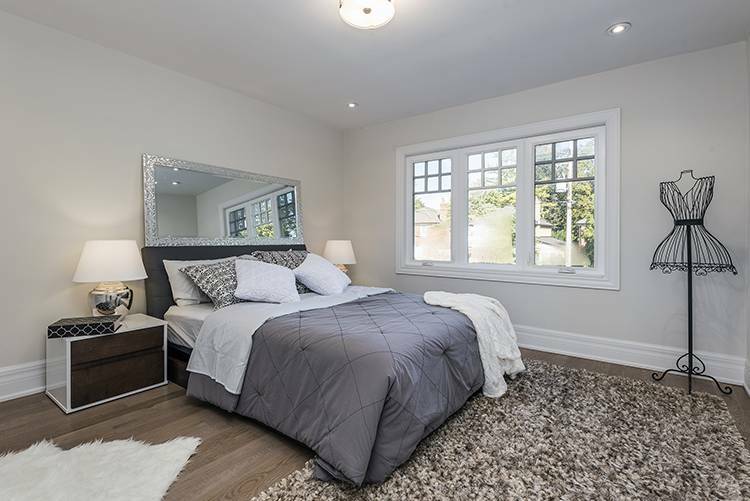 Toronto home staging companies like Baraka GTA Home Staging know what today’s buyers are looking for, and which home-improvement projects are well worth the cost. Did you know: your kitchen has the power to make or break a deal. This is one of the busiest rooms in every home, and often the ones buyers will use to judge the value of your property. Buyers are looking for impressive, modern kitchens with bright, open spaces. Before you start tearing down walls to create a larger space, consider other ways to enlarge the area using home staging. Toronto home staging companies will focus on creating bright, modern interiors with crisp window treatments, mirrors and lighting. Also, cleaning and decluttering will go a long way in creating a sleek, open look in your kitchen. If you’re looking to replace counters or reface your cabinets before a sale, consider the features that buyers are looking for today. Today, quartz countertops are more popular than marble ones. White cabinetry is also are more welcoming than bold or dark colours. If you need to replace a broken appliance, buyers will appreciate stainless steel elements. For ovens specifically, stainless steel gas stove tops are preferable to electric. Also, any energy-efficient options will go a long way in creating a lasting impression among buyers. Bathrooms that welcome buyers into a relaxing retreat will always impress buyers. Large, spacious showers have replaced bathtubs on a buyer’s wish list. With modern tiling—subway style is preferred over basket weave—your shower is where buyers will picture themselves relaxing. Use home staging to ensure space is welcoming with fresh, white towels and small modern accessories. For homes with tubs, deep-soaker baths are preferred over claw foot tubs. The second most popular bathroom feature is the sink and vanity. Modern buyers are looking for double sinks in a master ensuite to give them extra room in their retreat. With space and organization top of mind, ensure your linen closet is also staged with fluffy white towels before a showing. · Add a small desk to your den or living room to create a home office. · Create a guest room in finished basements by staging empty living spaces in a bedroom. · Furnish a corner of your master bedroom with an accent chair and side table to create a reading nook. · Stage, your foyer with a mirror, greenery and artwork, to present a grand entrance. Buyers are always looking at how a new home will accommodate their lifestyle. In addition to their own family, buyers often want an area that will welcome their family and friends too. If you’re not sure how to stage your den or additional rooms in your basement or loft, consider adding an entertainment room. Regardless of the holiday or occasion, an unused space can set the stage for a party. Turn your basement or a spare living room into a finished space with a TV, bar and lounge area. Whether it’s kid-friendly or space for adults, this home improvement will be utilized a lot and add value to your home now—and when you’re ready to sell. If you’re a seller, who needs expert assistance with preparing for a sale, hire a home stager. At Baraka GTA Home Staging, a professional team will work with you to understand the needs of the buyer. We leave a lasting impression by using space, lighting and furniture from our immaculate premium selection. We like to create a story in each area, by allowing buyers to envision their lives honestly in their new home. Contact Baraka GTA Home Staging at 416-992 9494.